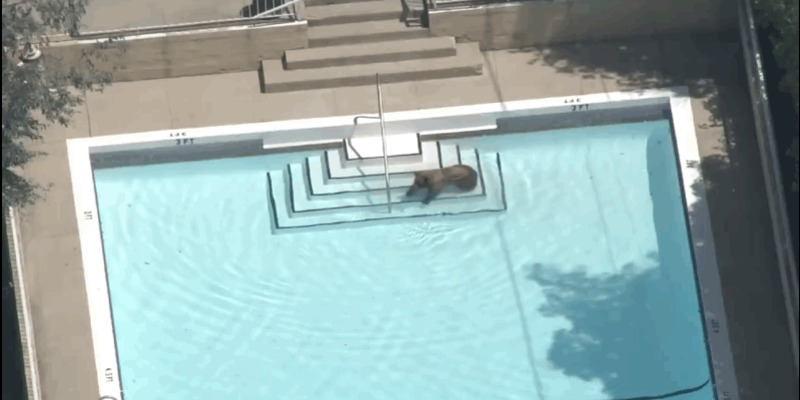 And that seems to be what was going through a 250-pound black bear’s mind when he went for a dip in a back yard pool in La Cañada Flintridge, California, a neighbourhood of Los Angeles. Afterward, KTLA 5, the female bear went to take a nap in a pine tree. 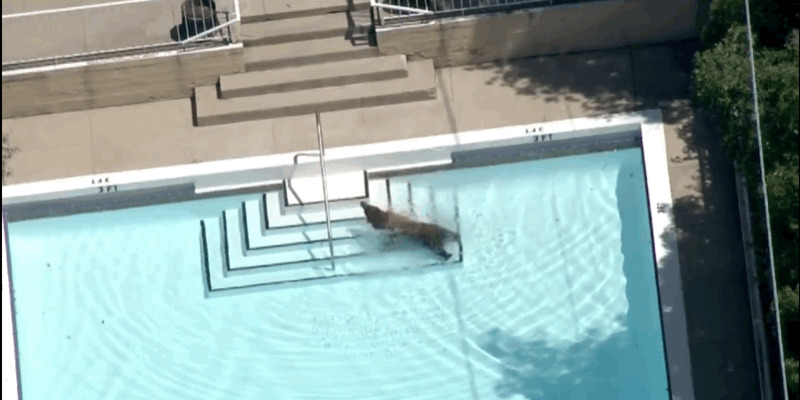 And of course, news crews got aerial footage of the bear having a grand time. Andrew Hughan, a spokesman for the Department of Fish and Wildlife told the LA Times that this isn’t an uncommon occurrence. Earlier this year, there were other bear sightings. Hughan attributed it to younger bears, only a few years old, who get displaced once their mothers have to start taking care of their new babies in the spring. Because of their youth, they’re likely to wander away from their comfort zone. “It’s their first time on their own, so they will smell something and follow it, and next thing you know they’re in downtown Pasadena,” Hughan told the LA Times in May.